Опора для ружья Primos PoleCat™ 2 ноги, 3 секции. 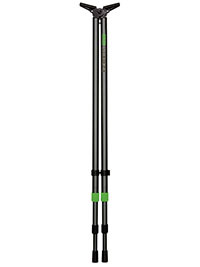 The best strength-to-weight ratio in the business makes this the most trusted monopod in the field. Seamless tempered-aluminum tubes with patented Posi-Lock™ adjustment are bench stable, lightweight, mobile, and silently adjust to terrain with a quick quarter-twist. The rugged nylon yoke is strong, lighter than steel and will never rust. The tactile rubber shooting V grips your stock for a steadier shot. It’s rock-solid support that is lightweight enough to take anywhere. 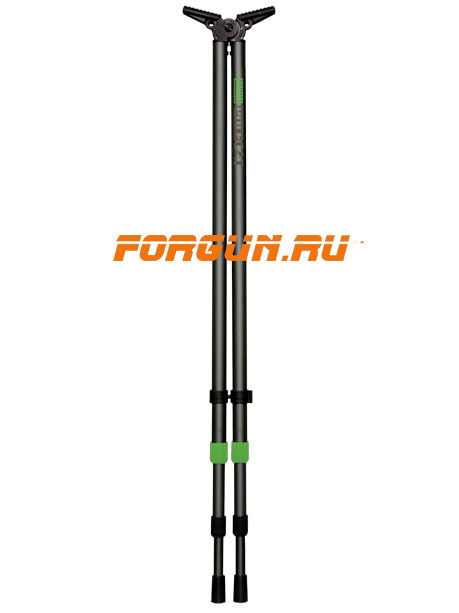 Two piece bi pod Perfect for standing to kneeling Adjust from 25? to 62?